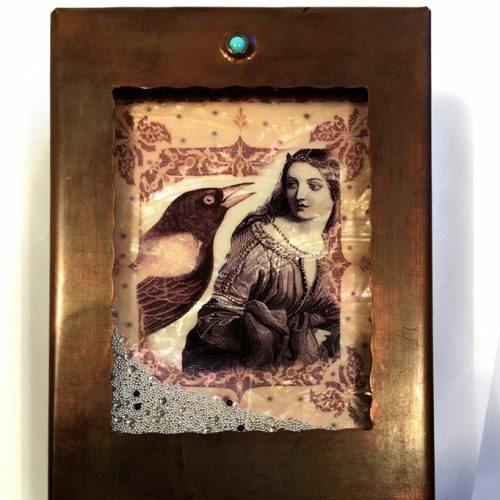 Bunnies in the Woods, an old image that somehow never loses its appeal. 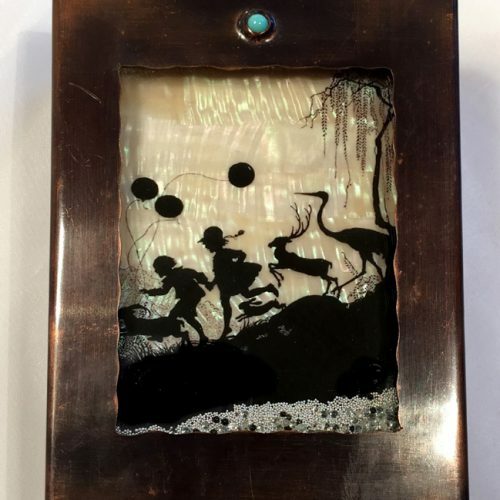 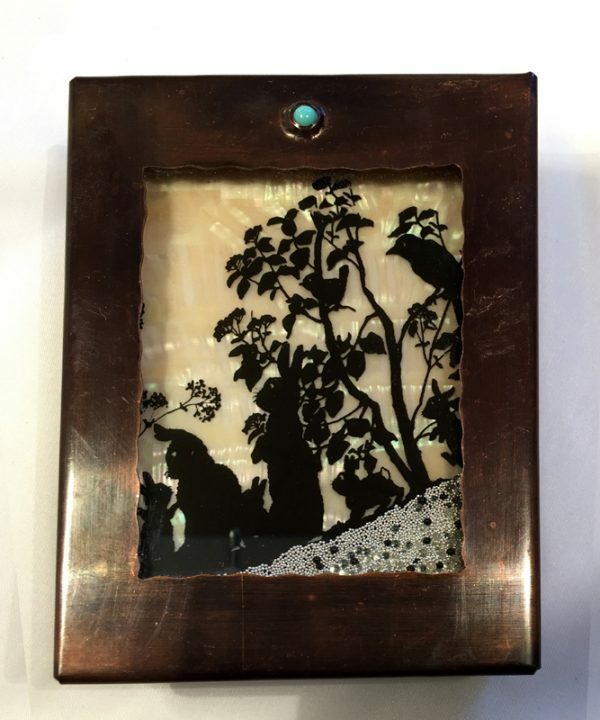 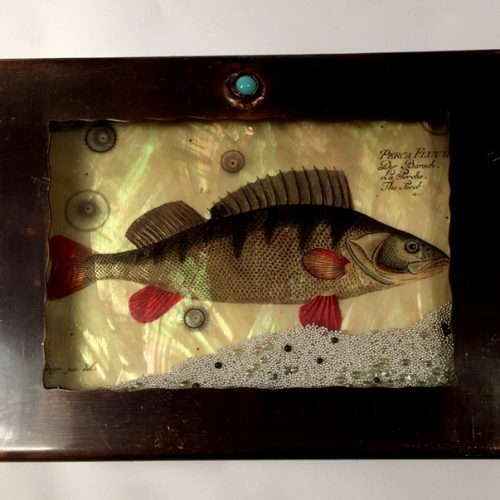 The image is over mother of pearl and has tiny marbles of clear and silver rolling on top of the image whenever the lid is moved creating a mesmerizing effect. 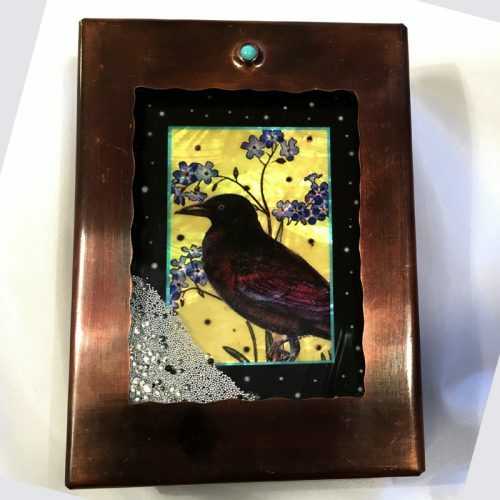 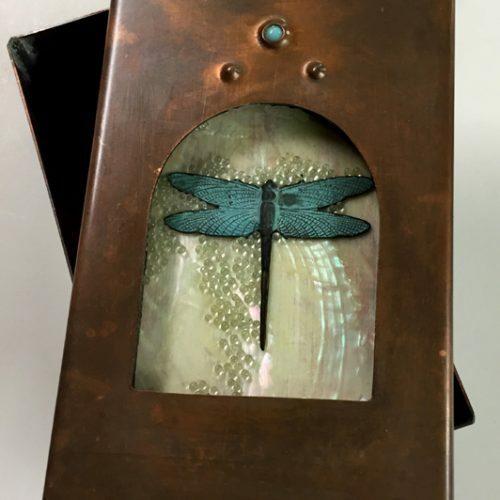 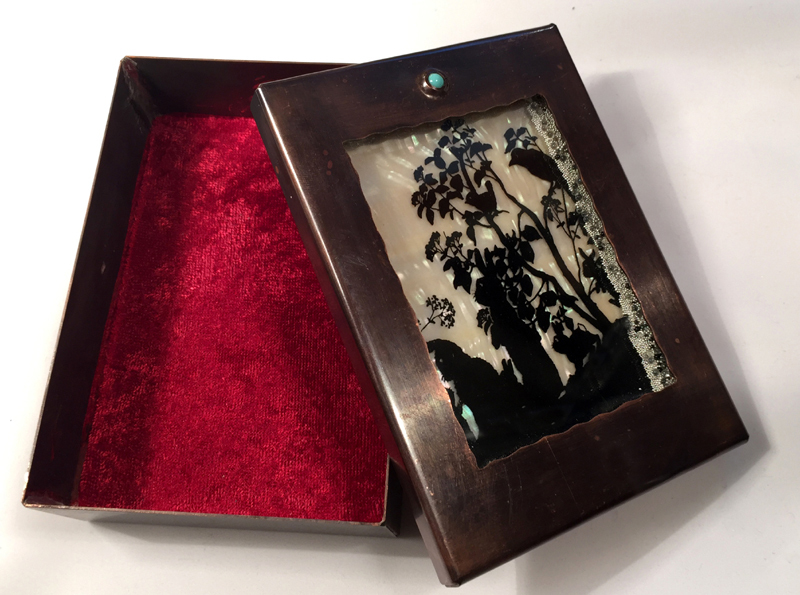 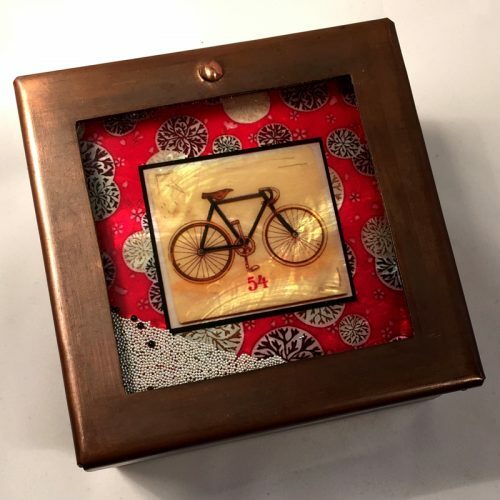 Use this sweet box for your keepsakes or jewelry.